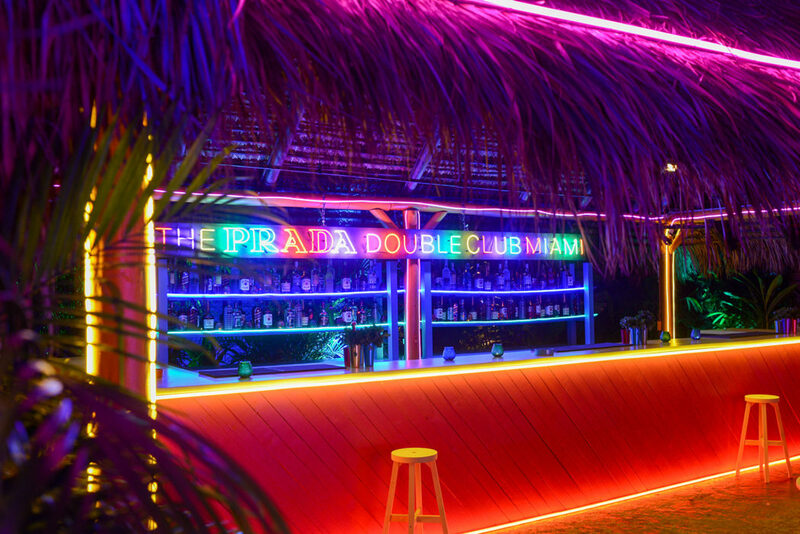 Open for only 3 days, artist Carsten Höller collaborates with Fondazione Prada in opening The Prada Double Club: an art installation meant to be experienced as a nightclub. 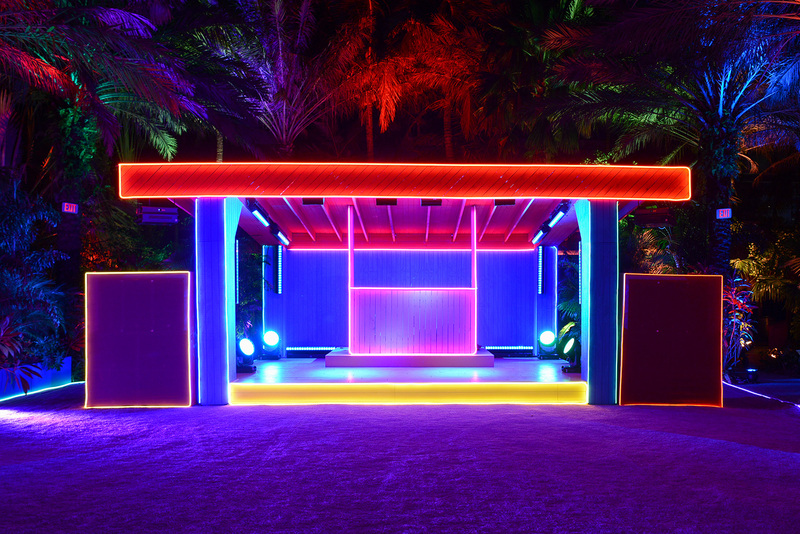 This ephemeral event was created specially for Art Basel Miami Beach. 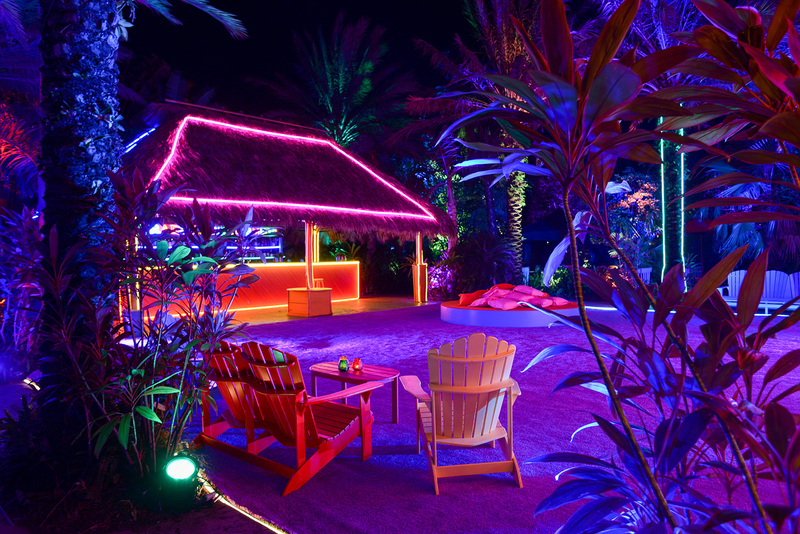 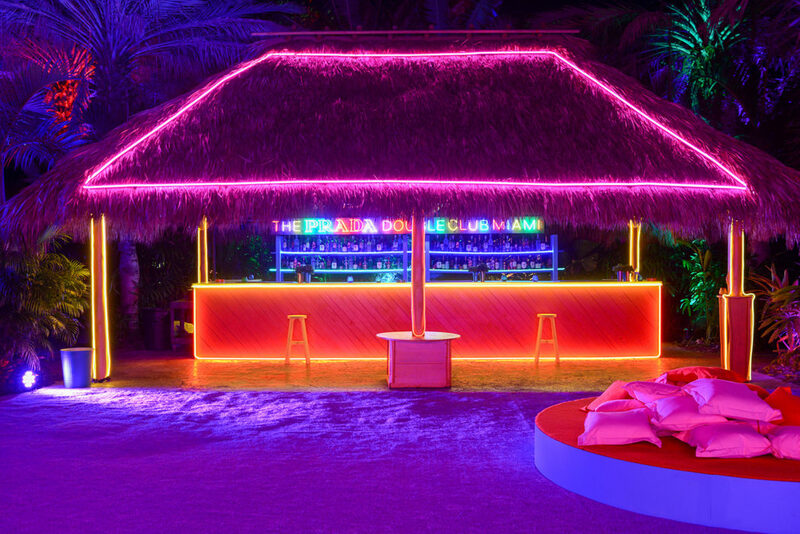 Set in a 1920s film studio complex, people are invited to discover two different spaces — an internal club space and an outdoor tropical garden — one which is monochromatic, and the other hyper-polychromatic. 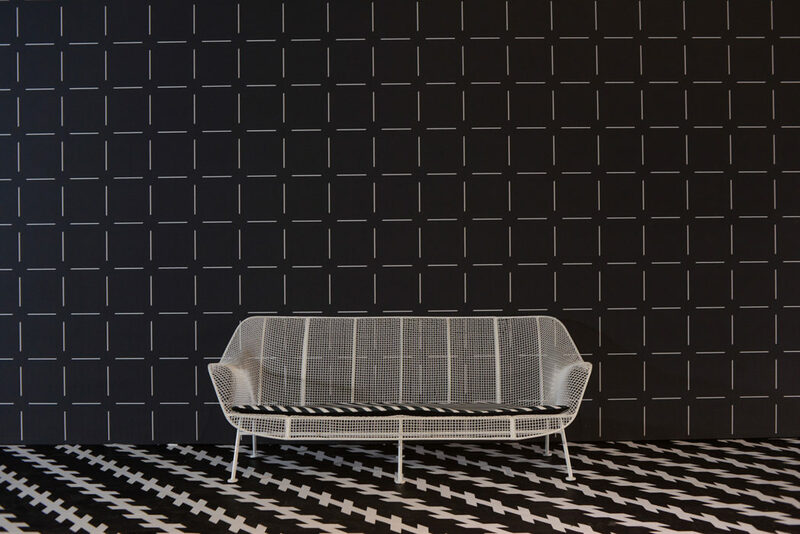 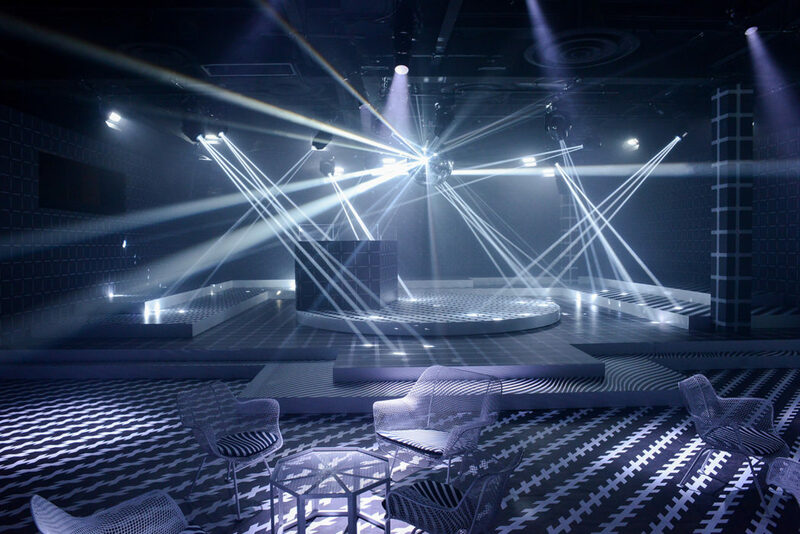 Infused with contemporary art, music and design, the club promises an amazing schizophrenic journey. 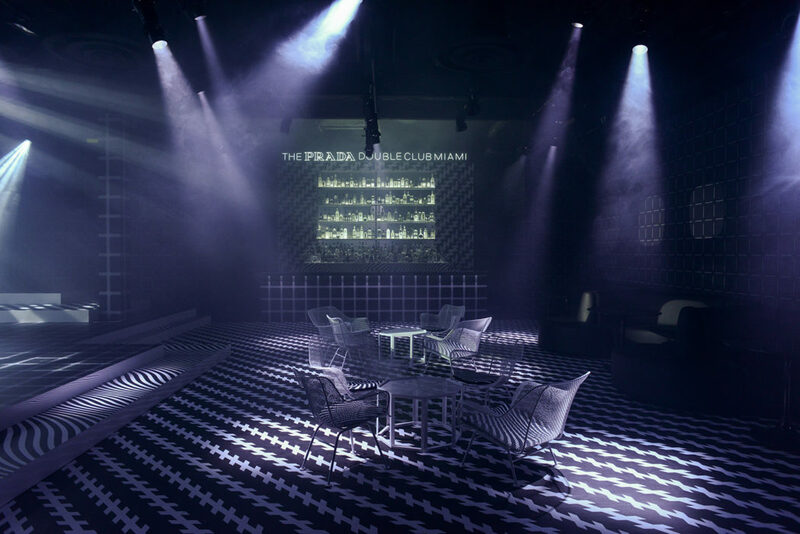 The Prada Double Club is open from December 5 to 7 exclusively.